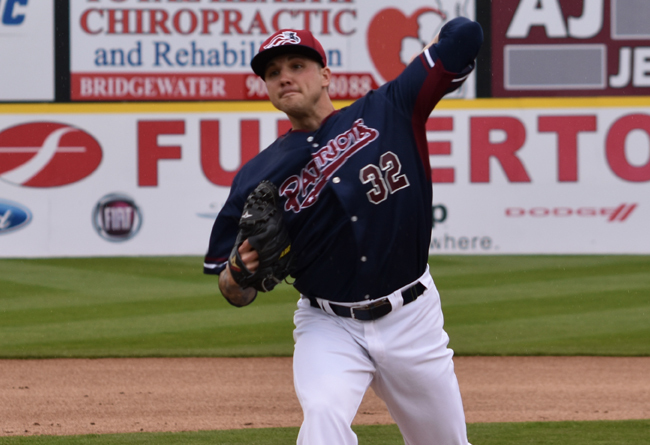 (Bridgewater, N.J., May 15, 2017) - The Somerset Patriots have announced that left-handed pitcher Aaron Laffey’s contract has been purchased by the Arizona Diamondbacks. Laffey was 1-1 with a 2.82 ERA and 19 strikeouts over 22.1 innings pitched in four games started for Somerset this season. The veteran southpaw has eight years of service in the big leagues, including four seasons with the Cleveland Indians (2007-10), half of a season split between the Seattle Mariners and New York Yankees (2011) and time with the Toronto Blue Jays (2012-13), New York Mets (2013) and Colorado Rockies (2015). Over 156 games in the majors (68 starts), Laffey recorded 26 wins with a 4.44 ERA in 494.1 innings of work. Laffey is the fourth Somerset Patriot to have his contract purchased by a Major League organization this season. Left-handed pitchers Jeremy Bleich and Logan Darnell both went to the Los Angeles Dodgers and right-handed pitcher Tyler Cloyd joined the Seattle Mariners. All four were assigned to Triple-A.